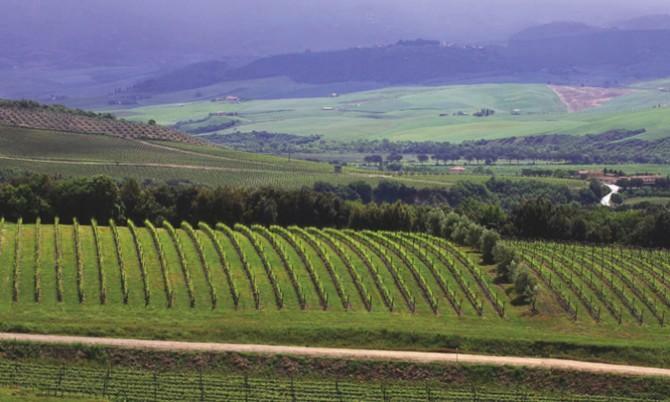 Placido offers classic Italian varietals from well-respected regions. A brand rooted in nobility, Placido is a nod to the heritage and legacy of 13th century nobleman Placido dei Placidi. When Siena defeated its bitter rival Florence in the year 1260 at the Battle of Montaperti, the hero of the day was Count Placido Placidi. For his valor, he was given the fortified hill nearby, known as Poggio alle Mura (the Italian version of the Latin podium muris, or walled hilltop), a vantage point that had first been secured by the Etruscans in ancient, pre-Roman times.